The Federal Aviation Administration has not yet finalized rules governing the use of drones within the United States. However, a privacy group is already suing the agency over the lack of personal protections detailed in its current proposal. Earlier this week, the Electronic Privacy Information Center (EPIC) filed a lawsuit against the FAA, arguing that the agency should not have avoided proposing privacy protections with its initial set of drone regulations. EPIC is asking the federal appeals court in Washington, DC to review the FAA’s decision and declare it unlawful, since Congress originally required it to create a “comprehensive plan” that would “safely” incorporate unmanned aerial vehicles into American airspace. 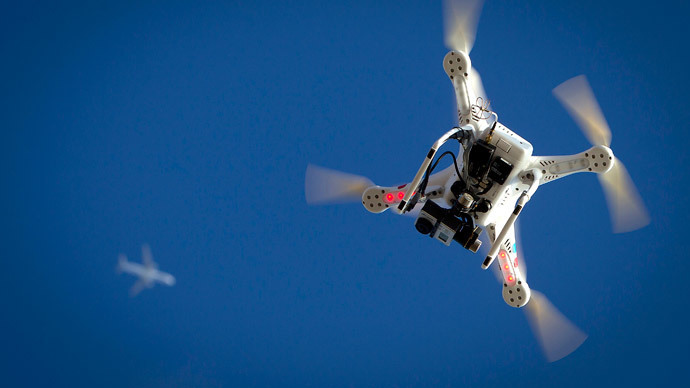 While the FAA did not touch the civil liberties concerns in its February proposal, it outlined several guidelines for the use of drones commercially. For one thing, the rules ban operators from flying drones beyond their line of sight and restrict their use to daylight hours. Drones must weight a maximum of 55 pounds, stay below 500 feet in the air and fly less than 100 miles per hour. A drone operator must also pass an aeronautics test. Civil liberties advocates were not the only ones upset with the rules, though. Companies like Amazon – which is testing deliveries-by-drone in Canada due to tight regulations in the US – said America is moving to slow to adopt new guidelines. The company said even the FAA’s proposed rules are inadequate. Sen. Cory Booker (D-N.J.) is expected to introduce a bill that would establish temporary rules for experimental drone use, although it is unclear when that will happen. Reports suggest the rules contained in his bill would be more relaxed than what the FAA is considering, though they would only remain in effect until the FAA finalizes its own.